I've been seeing some super cute polka dot cakes around the web. Most of them use baked cake balls made in a little cake ball baking appliance. I really don't have the space to store another appliance just to make a cake, so I thought I could try using cake balls made with cooked cake and icing (a la cake pop style). This cake is a two step process. First, I made the cake balls and froze them overnight. The next day I whipped up another cake mix . I put the frozen cake balls in the pan and covered them with cake batter. I was worried that the cake balls might not keep their shape during the baking process, but they did! It turned out great! I used the new Limited Edition Duncan Hines Fruit Punch Frosting Creations for the cake balls, but you can use any flavor frosting to flavor the cake balls. Get creative! Prepare cake according to package directions. Pour into greased 9x13-inch pan. Bake according to package directions. Cool completely. In a large bowl, crumble cake and stir in Duncan Hines Fruit Punch Frosting Creations. 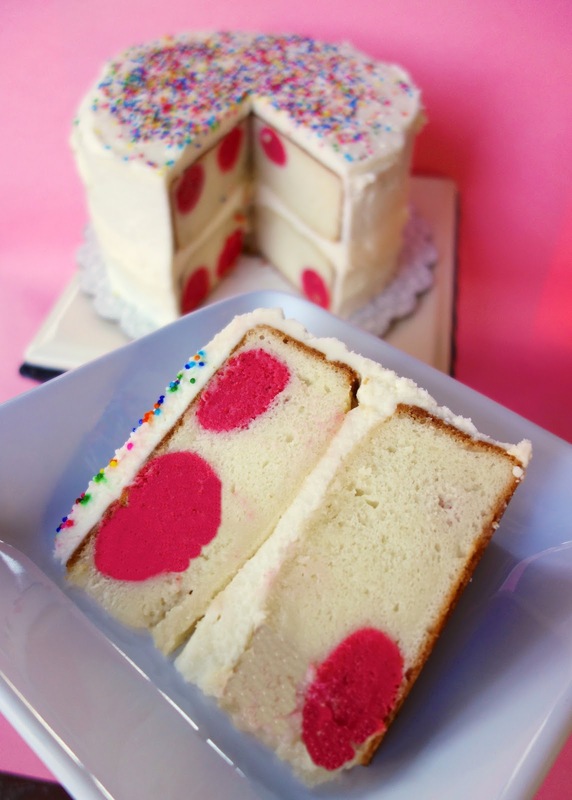 Roll cake into 1 1/2-inch balls. Freeze at least 2 hours or overnight. Prepare cake according to package directions. Pour half of the batter into 2 greased 8-inch cake pans. Place 12 cake balls in each pan. (there will be extra cake balls) Top with remaining cake batter. Bake according to package directions. Cool completely. Frost with Duncan Hines Creamy Homestyle Classic Vanilla frosting. Know what's crazy? I've been seeing these too and thought, I don't want to buy something just to make the balls, I wonder if regular cake balls would work?? And now I have my answer, thanks!! I can'ts let mines balls get that cold. Steph-Is it your birthday today? If it is Happy Birthday! Karen - it actually is my birthday today! I am 29 (again). Thanks! Don't worry I am not a stalker. HaHa! I actually made your Creamy Burrito Casserole today so I was reading through some older posts and I said "hey, that's today" on an old march 8th entry. So don't be scared. P.S. I posted on the casserole - LOVED IT. This is just the cutest cake! 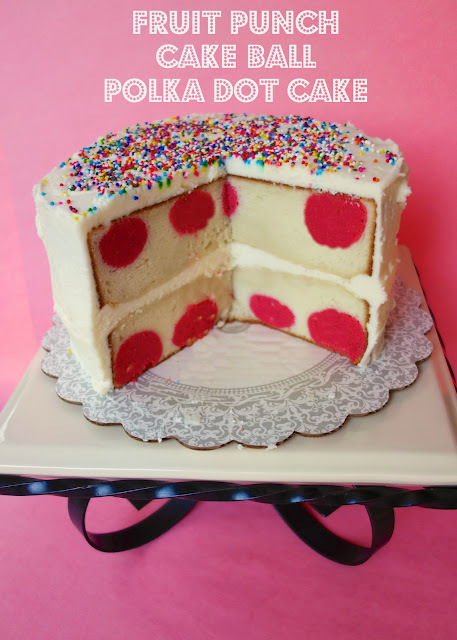 Love that you made cakeballs as the polka dots! Can you use homemade frosting instead of canned frosting?